Follow RT to get the latest news on Boris Johnson. He is a British politician, the Conservative Party’s Member of Parliament for Uxbridge and South Ruislip. Find the news and information on his background and political activities. Formerly mayor of London in 2008-2016, Johnson is now secretary of state for foreign and Commonwealth affairs. Visit RT.com on the latest news and reports on his current political career and his negotiations and relations with the leaders within the UK and beyond. Boris Johnson often make quite provocative statements on important political issues, including Brexit and the Skripal case. Don’t miss the articles and news on Johnson’s speeches and claims. With British MPs set for a last-ditch vote on a slightly abridged version of the Brexit deal proposed by PM Theresa May, the US President wished her luck. But he also had kind words for one of her fiercest critics, Boris Johnson. 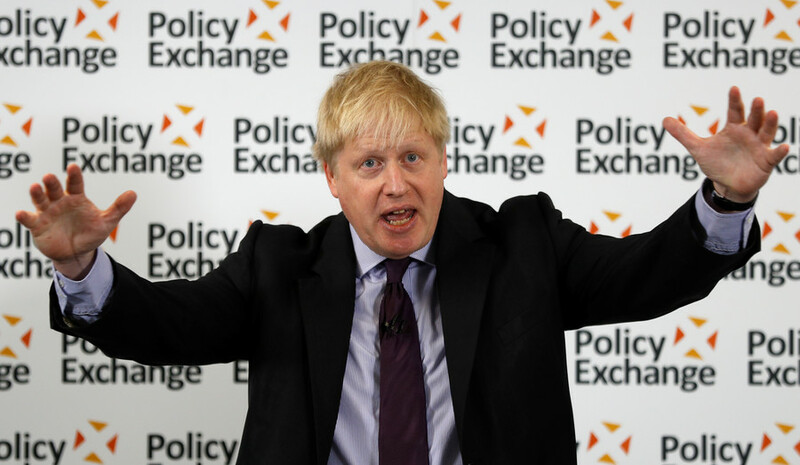 Boris Johnson has provoked ridicule after urging PM Theresa May to summon up the spirit of Moses in Exodus and tell the Pharaoh in Brussels to “let my people go.” But did he think of what his metaphor actually entails for the UK? Former foreign secretary Boris Johnson has caused uproar after claiming that £60 million ($79 million) of police money has been wasted on investigations into historic child abuse, when it should be used to protect the public. With the withdrawal date at the end of March looming large Boris Johnson says Britons will suspect a “plot by the deep state to kill Brexit” if the UK’s exit from the European Union is delayed. Boris Johnson has been cleared of breaking the Tories’ code of conduct after comparing Muslim women to “letterboxes” and “bank robbers.” The decision has led to uproar from Muslim and anti-racist groups.